A very WABL-y journey – Page 16 – Come drink with us! Every epic has to start somewhere. And there is no place more fitting than a staple of the Seattle brewery scene. Pyramid. I know many don’t consider it Seattle anymore cause its a big time brewery that sells all over the United States. But Pyramid will always have a special place in my heart. Also I have two buddies that work there. That’s always nice. Fun thing about Pyramid, the Mayweather fight was that day, but they were not ordering the fight cause they didn’t want the bro crowd in their tapout shirts. We enter Pyramid with eager anticipation. Sam-wise orders the Brown. A bold move, defending the honor of generations before her. I order the dubbel, potentially risky but the pay off could be huge. We encounter no dragons, trolls or ogres. Just people waiting to go to the Beer and Bacon festival. We survive and move on to the next. Pyramid is all about location location location. Before a M’s, Hawks or Sounders game this is the place to be. It can get a little pricey before a game ($6.50 for a pint) but they do have a vast selection of beers (They have their own AND ones from Portland brewing). I recommended the IPL and Outburst IPA. Also, their nachos are fantastic. I give them a 6/10. There is a time in a man’s life when he decides to go on an epic journey. Something bards in future generations will sing about. But this isn’t one of those journeys. This is a journey of beer. More importantly, Washington beer. One day many moons ago, my wise girlfriend Sam and I were in a far off land called Woodinville. A land known for wine, mead and beer. It is an enchanted place full of fun, adventure and danger. The danger being cops. Don’t drink and drive people. Anyway, Sam and I saw a mystical and magical WABL map lying in the tomb of Brickyard Brewing company so we decided to take a look. And what we saw was amazing. Well, not so much amazing as a crap load of breweries that we have visited. So we started marking them off, Wingman – check, Bellevue brewing – check, and so on and so on. Until we realized that we visit breweries very frequently. Time passed and nothing came of this magical map until this last friday, at Snoqualmie Brewing. 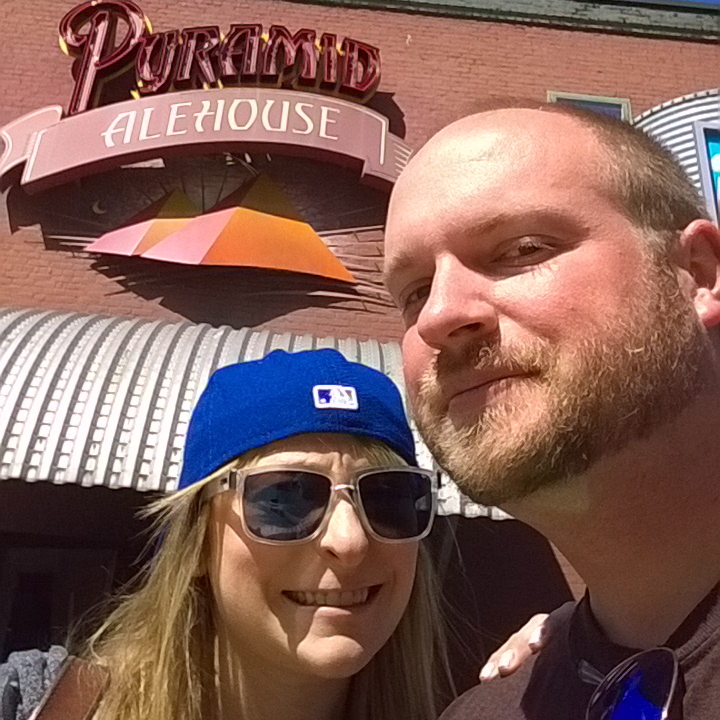 My wise girlfriend Sam thought of the idea of starting a blog to chronicle our journey across the great state of Washington to visit every Brewery we can. So here we are, the day of the Bacon and Beer festival, starting our journey. Rain or shine, we must move forward. For us, and everyone. 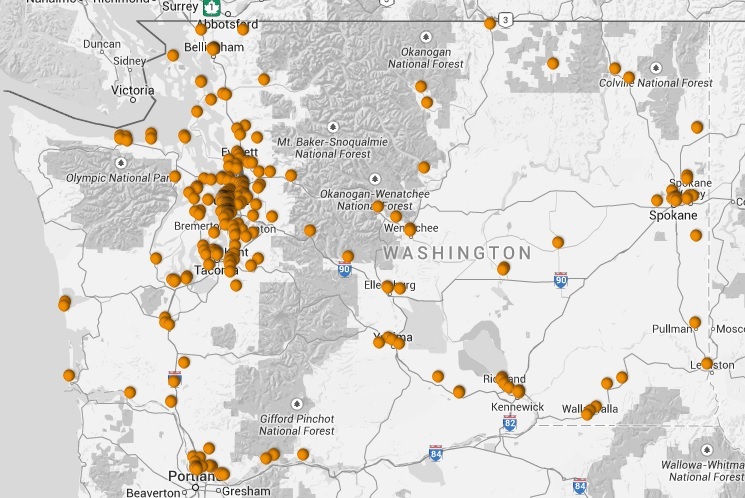 All the breweries in Washington. 272 of them. And we are starting from ground zero. Everyone we have already visited, doesn’t count.